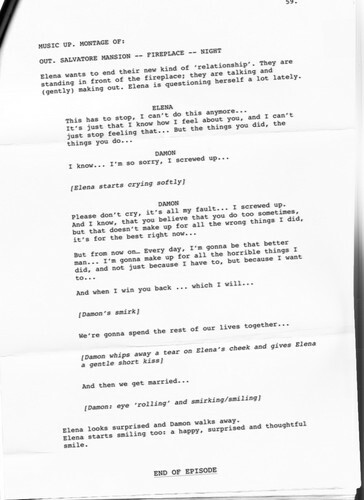 Season Finale Script: Damon. If only this would be true....... I really hope this is indeed how the season ends, so we get whole season 6 of Elena and Damon build up and in the end a wedding!!. 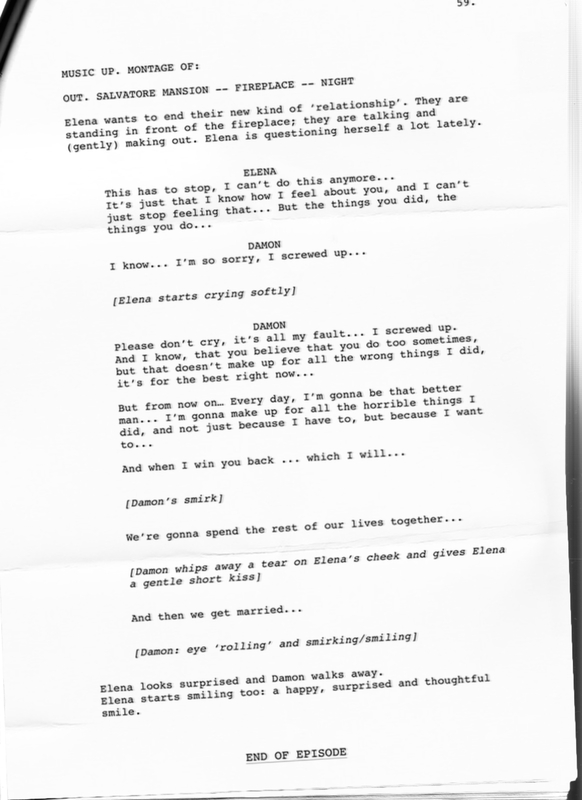 HD Wallpaper and background images in the The Vampire Diaries club tagged: photo damon elena script season finale love.